Albert Benjamin "Happy" Chandler Sr. (July 14, 1898 – June 15, 1991) was an American politician from the Commonwealth of Kentucky. He represented the Commonwealth in the U.S. Senate and served as its 44th and 49th governor. Aside from his political positions, he also served as the second Commissioner of Baseball from 1945 to 1951 and was inducted into the Baseball Hall of Fame in 1982. 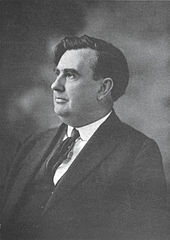 His grandson, Ben Chandler, later served as congressman for Kentucky's Sixth District. A multi-sport athlete during his college days at Transylvania College, Chandler briefly considered a career in professional baseball before deciding to pursue a law degree. After graduation, he entered politics and was elected as a Democrat to the Kentucky Senate in 1928. Two years later, he was elected lieutenant governor, serving under Governor Ruby Laffoon. Chandler and Laffoon disagreed on the issue of instituting a state sales tax and when Chandler, the presiding officer in the state senate, worked to block the legislation, Laffoon's allies in the General Assembly stripped him of many of his statutory powers. The tax then passed by a narrow margin. 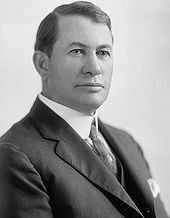 Knowing that Laffoon would try to select his own successor at the Democratic nominating convention, Chandler waited until Laffoon left the state—leaving Chandler as acting governor—and called the legislature into session to enact a mandatory primary election bill. The bill passed, and in the ensuing primary, Chandler defeated Laffoon's choice, Thomas Rhea. He then went on to defeat Republican King Swope by the largest margin of victory for a Kentucky gubernatorial race to that time. As governor, Chandler oversaw the repeal of the sales tax, replacing the lost revenue with new excise taxes and the state's first income tax. He also enacted a major reorganization of state government, realizing significant savings for the state. He used these savings to pay off the state debt and improve the state's education and transportation systems. Convinced that he was destined to become President of the United States, Chandler challenged Senate Majority Leader Alben Barkley for his U.S. Senate seat in 1938. During the campaign, President Franklin D. Roosevelt came to the state to campaign for Barkley, and Chandler lost a close race. The following year, Kentucky's other senator, Marvel Mills Logan, died in office, and Chandler resigned as governor so his successor could appoint him to the vacant seat. A fiscal conservative and disciple of Virginia's Harry F. Byrd, Chandler opposed parts of Roosevelt's New Deal and openly disagreed with the president's decision to prioritize European operations in World War II over the war in the Pacific. In 1945, Chandler resigned his senate seat to succeed the late Kenesaw Mountain Landis as commissioner of baseball. His most significant action as commissioner was the approval of Jackie Robinson's contract with the Brooklyn Dodgers, effectively integrating Major League Baseball. He also established the first pension fund for Major League players, earning him the title "the players' commissioner". Baseball owners were upset with Chandler's governance, however, and did not renew his contract in 1951. 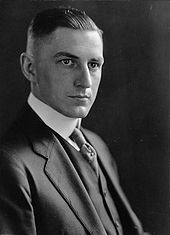 King Swope lost his gubernatorial bid to Chandler in 1935. Logan's death in 1939 created a vacancy in the US Senate to which Chandler was appointed. 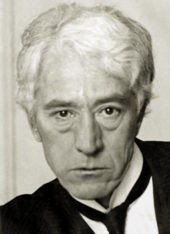 Kenesaw Mountain Landis, Chandler's predecessor as Baseball Commissioner. Jackie Robinson broke the baseball color barrier during Chandler's tenure. 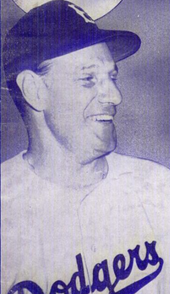 Leo Durocher received a one-year suspension from Chandler for "conduct detrimental to baseball." The Albert B. Chandler Hospital, part of the UK Medical Center, is named in Chandler's honor. ^ Jr., Robert Mcg. Thomas. "A.B. (Happy) Chandler, 92, Dies; Led Baseball During Integration". Retrieved September 4, 2018. ^ a b c d Boyett, "Yesterday's News: Happy reunion"
^ a b c d e f g Mead and Warren, "Kentucky's 'Happy' Chandler Dies"
^ Edwards, "'Happy's' Daughter has Found her Niche"
^ a b c d e f g h i j Miller, "Chandler Civil Rights Record Shows 'Paradox'"
^ "Minutes of Regular Meeting of the Board of Trustees, University of Kentucky, April 4, 1939, p. 1". ^ a b Brammer, "Governor Names Chandler to UK Board"
^ Carter, "Documentary an Endearing Portrait of Chandler"
^ a b c d e Lucke, "Chandler Remark Sparks New Controversy; UK Students Demand Removal of Trustee"
^ a b c d Lucke, "With 2 Sentences, Chandler Sparked Protest and Debate"
^ a b c Lucke and Anderson, "Chandler Assailed for Racist Remark"
"Albert Benjamin Chandler". Hall of Distinguished Alumni. University of Kentucky Alumni Association. Retrieved December 27, 2010. "Albert Benjamin "Happy" Chandler". Major League Baseball. Retrieved December 20, 2010. Boyett, Frank (November 9, 2008). "Yesterday's News: Happy reunion". The Gleaner. Brammer, Jack (January 5, 1988). "Governor Names Chandler to UK Board". Lexington Herald-Leader. p. A1. Carter, Tom (May 24, 1987). "Documentary an Endearing Portrait of Chandler". Lexington Herald-Leader. p. F1. "Chandler, Albert Benjamin (Happy)". Biographical Directory of the United States Congress. Retrieved September 7, 2011. "Chandler, Happy". Baseball Hall of Fame. Retrieved September 21, 2011. Deford, Frank (July 20, 1987). "Happy Days". Sports Illustrated. Archived from the original on November 4, 2012. Retrieved September 28, 2011. Edwards, Don (September 28, 1986). "'Happy's' Daughter has Found her Niche". Lexington Herald-Leader. p. B1. Flaherty, Vincent X. (1946). J. G. Taylor Spink (ed.). "The Life Story of Albert B. "Happy" Chandler". Baseball Guide and Record Book. St. Louis, Missouri: Charles C. Spink and Son. "Happy Adds Another 'Ex'". Toledo Blade. Associated Press. January 15, 1966. p. 16. Harrison, Lowell H. (1992). "Chandler, Albert Benjamin". In John E. Kleber (ed.). The Kentucky Encyclopedia. Associate editors: Thomas D. Clark, Lowell H. Harrison, and James C. Klotter. Lexington, Kentucky: The University Press of Kentucky. ISBN 0-8131-1772-0. Retrieved December 20, 2010. Harrison, Lowell H.; James C. Klotter (1997). A New History of Kentucky. Lexington, Kentucky: The University Press of Kentucky. ISBN 0-8131-2008-X. Retrieved June 26, 2009. Hill, John Paul (Fall 2010). "Commissioner A. B. "Happy" Chandler and the Integration of Major League Baseball: A Reassessment". NINE: A Journal of Baseball History and Culture. 19 (1): 28–52. doi: 10.1353/nin.2010.0007. Hixson, Walter L. (Summer 1982). "The 1938 Kentucky Senate Election: Alben W. Barkley, "Happy" Chandler, and the New Deal". Register of the Kentucky Historical Society. 80: 309–329. Hult, Joan S.; Trekell, Marianna (1991). A Century of women's basketball : From Frailty to Final Four. Reston, Va: National Association for Girls and Women in Sport. ISBN 978-0-88314-490-9. 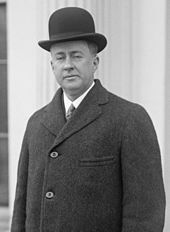 "Kentucky Governor Albert Benjamin Chandler". National Governors Association. Retrieved December 20, 2010. Klotter, James C. (1996). Kentucky: Portraits in Paradox, 1900–1950. Lexington, Kentucky: The University Press of Kentucky. ISBN 0-916968-24-3. Retrieved June 26, 2009. Lucke, Jaime; Virginia Anderson (April 7, 1988). "Chandler Assailed for Racist Remark". Lexington Herald-Leader. p. A1. Lucke, Jaime (February 28, 1988). "Chandler Remark Sparks New Controversy; UK Students Demand Removal of Trustee". Lexington Herald-Leader. p. A1. Lucke, Jaime (January 29, 1989). "With 2 Sentences, Chandler Sparked Protest and Debate". Lexington Herald-Leader. p. B3. Marshall Jr., William H. (Autumn 1984). "A. 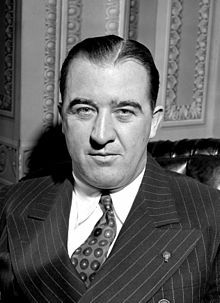 B. Chandler as Baseball Commissioner 1945–1951: An Overview". The Register of the Kentucky Historical Society. 83 (4): 358–388. Marshall Jr., William H. (Spring 2001). "Happy Chandler and Baseball's Pivotal Era". The Register of the Kentucky Historical Society. 99 (1): 99–121. Mead, Andy; Jim Warren (June 16, 1991). "Kentucky's 'Happy' Chandler Dies". Lexington Herald-Leader. p. A1. Miller, John Winn (April 14, 1988). "Chandler Civil Rights Record Shows 'Paradox'". Lexington Herald-Leader. p. A1. Roland, Charles P. (2004). "Albert Benjamin Chandler". In Lowell H. Harrison (ed.). Kentucky's Governors. Lexington, Kentucky: The University Press of Kentucky. ISBN 0-8131-2326-7. Retrieved November 13, 2010. Shannon, J. B. (1938). ""Happy" Chandler: A Kentucky Epic". In J. T. Salter (ed.). The American Politician. Chapel Hill, North Carolina: The University of North Carolina Press. Chandler, Happy; John Underwood (May 3, 1971). "Gunned Down by the Heavies". Sports Illustrated. Chandler, Happy; Trimble, Vance H. (1989). Heroes, Plain Folks, and Skunks: The Life and Times of Happy Chandler. foreword by Bob Hope. Chicago, Illinois: Bonus Books, Inc.
Chandler, Happy; John Underwood (April 26, 1971). "How I Jumped from Clean Politics to Dirty Baseball". Sports Illustrated. Marshall, William (1999). Baseball's Pivotal Era: 1945–1951. Lexington, Kentucky: The University Press of Kentucky.